Every year consumers in the United States toss 220,000,000 automobile tires in the trash. But while these defunct tires are being seen as useless by the majority, designer AnneMarie van Splunter has a much more inspired idea for their re-use: playgrounds! 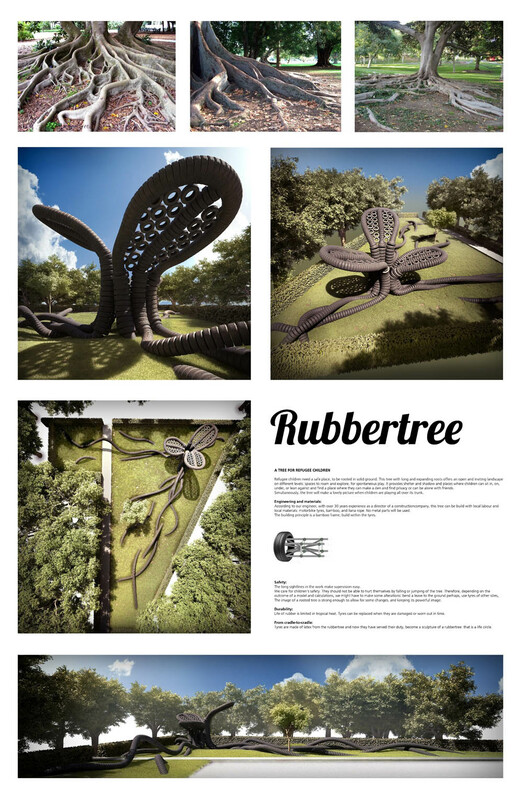 Her amazing ‘Rubber Tree‘ design concept is a playground that utilizes discarded tires as its primary building material, turning piles of rubber into a sculptural playground for refugee children in Thailand. Every year consumers in the United States toss 220,000,000 automobile tires in the trash. But while these defunct tires are being seen as useless by the majority, designer AnneMarie van Splunter has a much more inspired idea for their re-use: playgrounds! 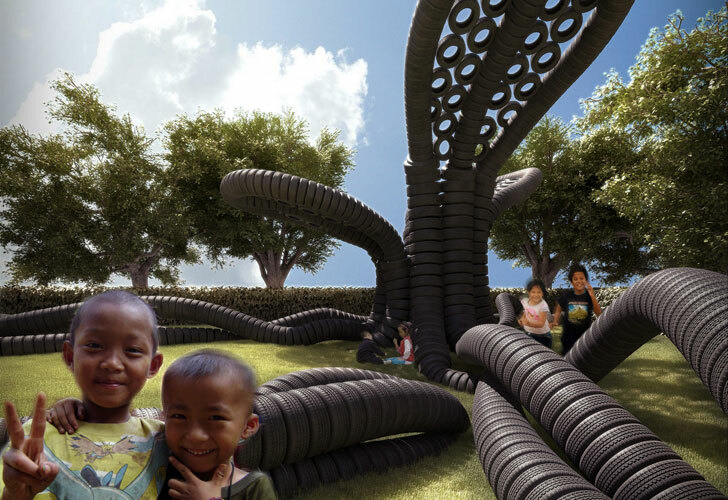 Her amazing 'Rubber Tree' design concept is a playground that utilizes discarded tires as its primary building material, turning piles of rubber into a sculptural playground for refugee children in Thailand.